You’ve got a day off school, but that doesn’t mean you need to sit at home all day! Come out to one of JJ Dance Performing Arts Studio P.A. 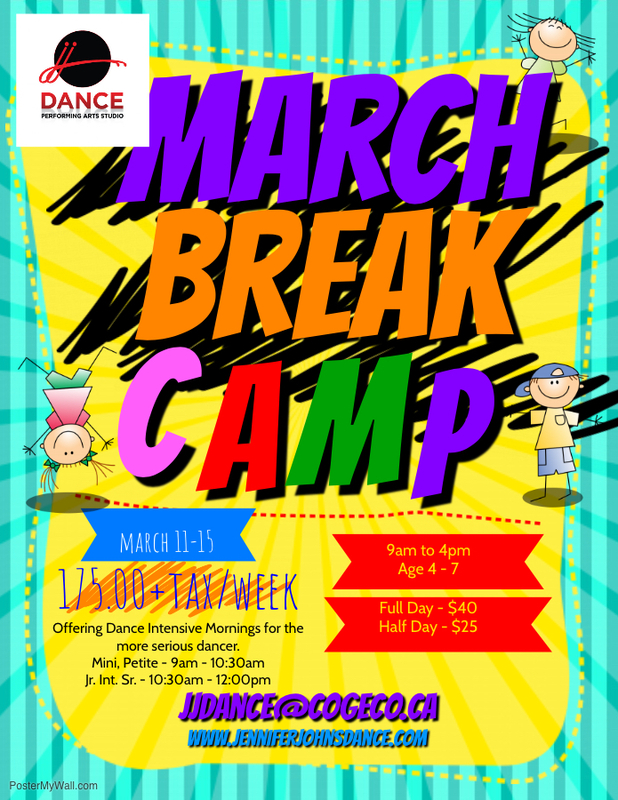 Day dance camps to stay active and have fun! This day camp will give the campers the opportunity to try all different dance styles as well as Tumble, Sing and Craft the day away! A great camp for our recreational dancers. This day camp gives experienced dancers a chance to improve their skills and try different dance styles. Dancers are responsible for providing their own dance attire (comfy clothing, bodysuit/tights if you have one, but not required, and clean socks and indoor running shoes) as well as their own snacks, lunch, and water bottle. You can sign up at our front desk. Space is limited and camps always fill up quickly! Treat your child to a week of fun and fantasy. Their dreams will come true as they enjoy dressing up, creating crafts and explore the world of imagination through dance and play. Come join us this summer for a fun filled week of dance, music, gymnastics, Musical theatre, drama in the park, arts and crafts, pizza party, and more! There will be a special performance for family and friends on the last day of camp. Morning will be split into 2 classes, recreational and experienced. Afternoon will be scheduled with different fun Dance and Tumble activities. Dancers are responsible for providing their own dance attire (flexible, form fitting clothing and indoor shoes) as well as their own snacks, lunch, and water bottle. Click below to access Summer camp flyer for further info. We can design a dance class to best suit your ability level, style of dance and times available.